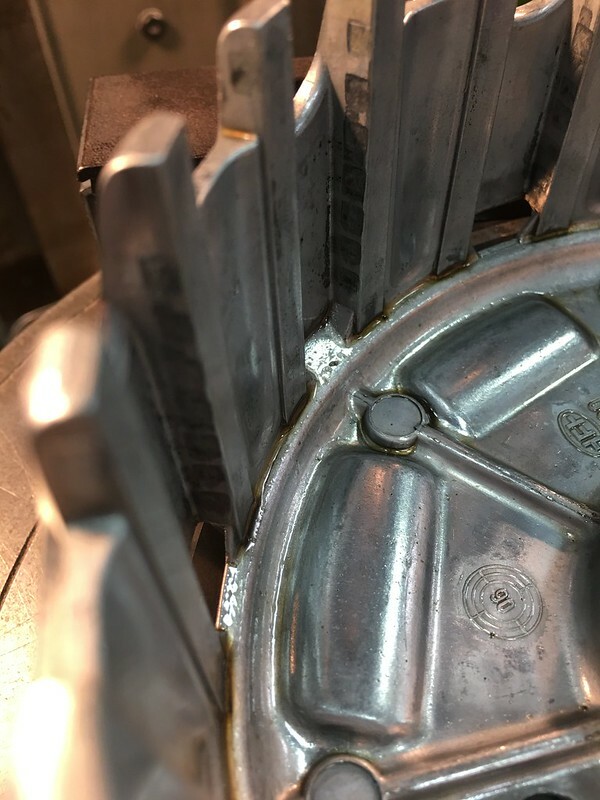 Have you broached your clutch basket lately? The cast aluminum clutch basket on my '06 K1200S was dented from the clutch plates after 25k miles. So with the help of friend and fellow forum member HMark, we broached the dented spines on his milling machine. Measured the spacing of each spine. There are twelve spines and as you would expect, they were 30 degrees apart. One of the opposite side spines was 29 degrees and corresponded to the narrow tab of the clutch plates. Checking the positioning of the cutting bit. 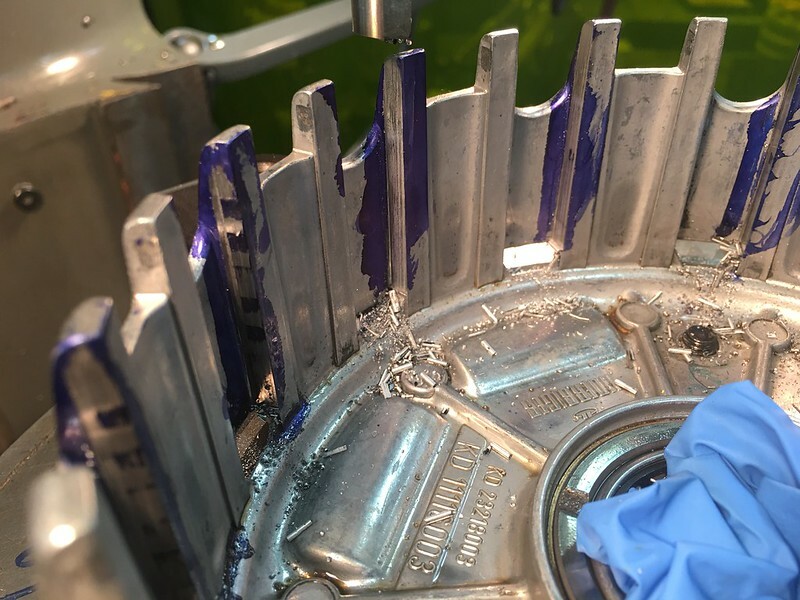 We locked the turn table at the appropriate angle and simply pressed the bit down into the spines to shave off material a little bit at a time. It cut very easily. We used blue paint to show the progress. Took several passes to get to the final depth of cut. We ended up taking 35 thousandths evenly off of each spine to match the depth of the deepest dent. After the broach process was complete on all the spines, we de-burred the edges around the cuts and softened the sharp edges on the spines. 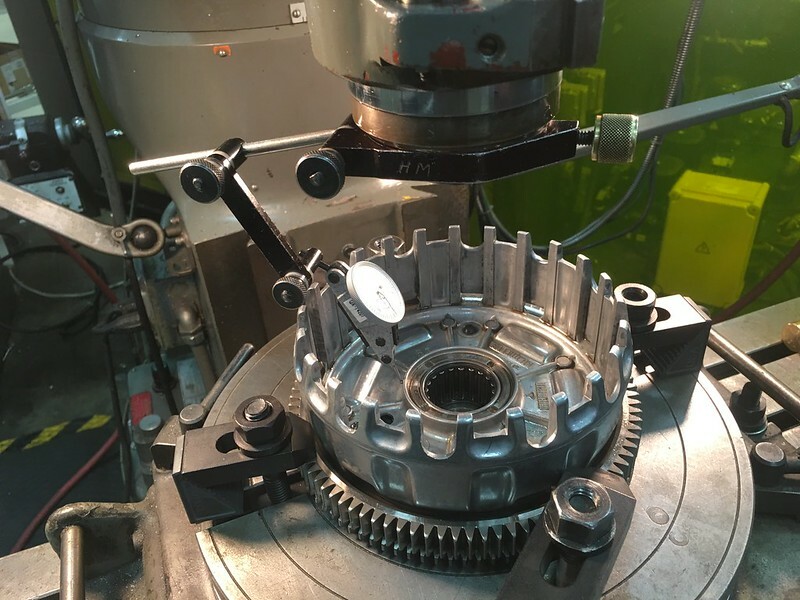 Once it was done in the machine shop, replaced the inner bearing with the one recommended by Bengarzy in his thread about reducing vibration. The clutch is now better than it's ever been! Re: Have you broached your clutch basket lately? No but I've done it on other bike clutches. I've had this issue on my current Suzuki and a previous Kawasaki. My suzuki is "only" a 750. Seems to be a strange place for cast aluminum. At least some surface treatment or shot peening might improve toughness of the face of the metal. My suzuki clutch basket cost $380. I bought a K12r basket back in the day but remember it was much more expensive. Maybe it came with the entire clutch pack? 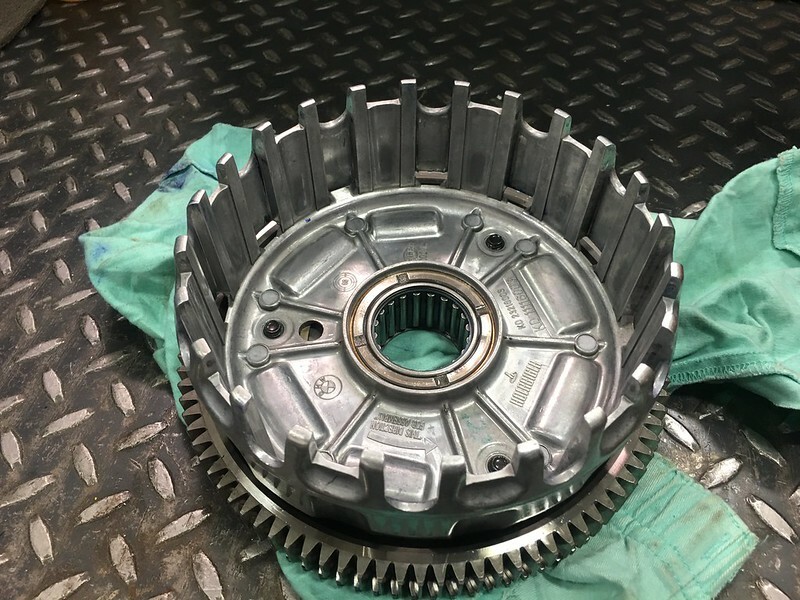 Does anyone know why the last fiber plate is placed into a different slot on the clutch basket? Seems like everyone does it until you buy an aftermarket slipper clutch hub and then the clutch pack won't reach and they all need to go in the same slot. Could you tell me where you cut the holes? I think I’ll give this a shot. 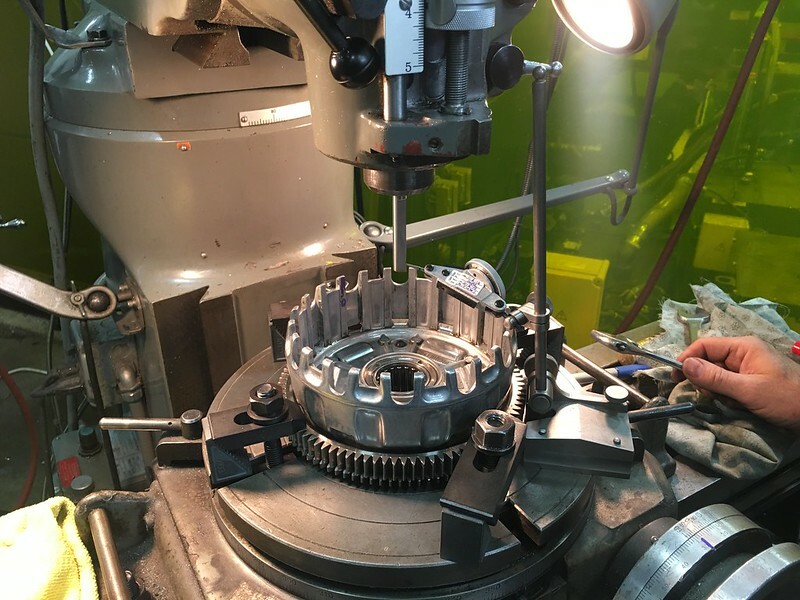 5. plunged the cutting bit into the spines of the clutch basket to shave them down little by little until they were flat making sure to take equal cuts from each spine so the tabs on the clutch plates hit the spines evenly during use. Took 4-5 passes taking small amounts each turn. 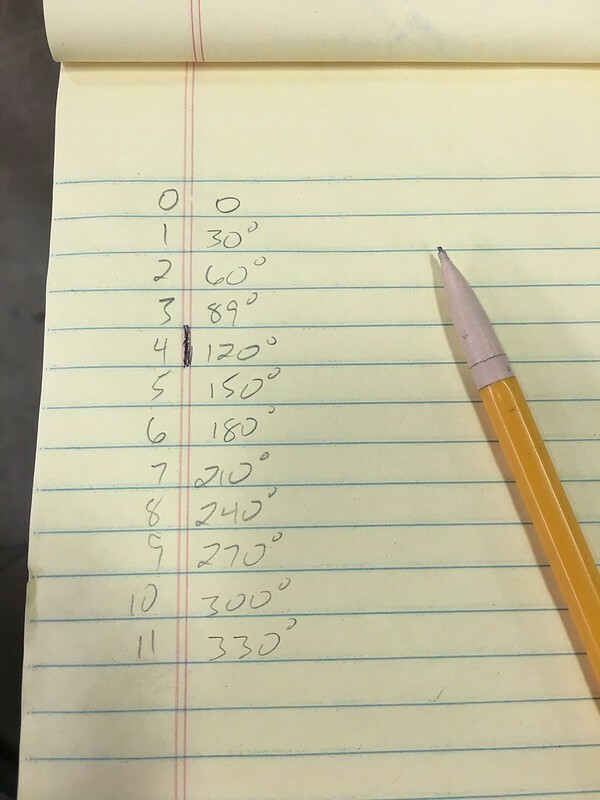 By the end of the process, we shaved off 35 thousandths of an inch from each spine (on the drive side only), but YMMV. Hope this helps clear up what the process was - if not, please let me know. Good question. Don't know. Also curious why one tab on the plates is narrower than the others so the hub can only go in one way. It seems it would be more balanced if the plates were completely symmetrical. Anyone know why they're made this way? Jared thank you for the explanation. So, you smoothed out the spikes so that the clutch action is lighter. There was another gent here that also made lubrication holes to the basket. I always wondered if a SS “sleeve” could be installed so that the spines don’t get worn out like now. I have an extra basket. I’ll toy with the idea. He did this work on my basket last year. He replaced the basket springs to eliminate the chatter when the clutch is out in neutral (favorite improvement), replaced the plates with a set that uses dimpled steels to reduce stiction, machined the thrust adapter to increase oil flow and added oil channels to the hub. Details for the oil channels are described pretty well in the clutch thread. With all those mods and the new center bearing, the clutch is almost as good as it's going to get - just want to get it balanced and call it a day for the next 20k miles or so.